Summer has officially begun and we’ve got the perfect beach ready bag for you! 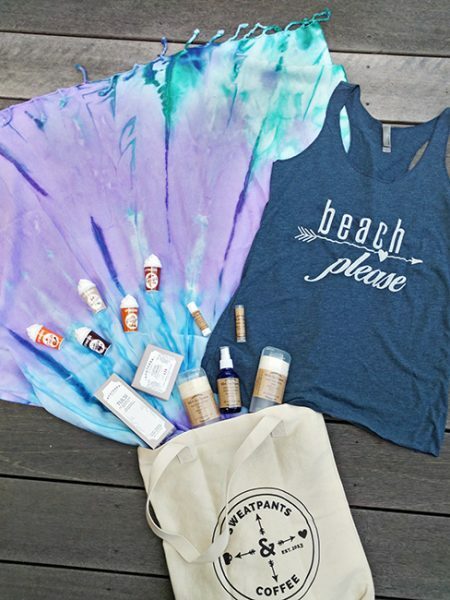 We’re talking a gorgeous towel, tank, summer bath and body products, and, of course, our signature Sweatpants & Coffee tote to hold it all. 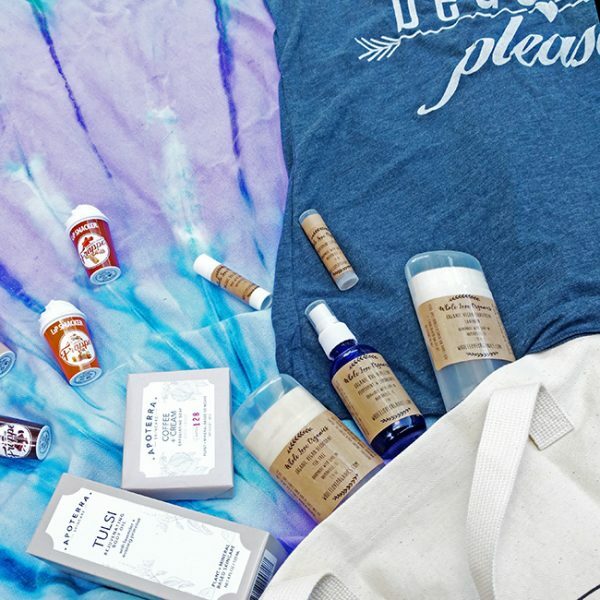 Here’s a little taste of the “Beach Don’t Kill My Vibe” June #TreatYoSelfTote. Can y’all see that? The explosion of summer that is coming out of that tote? SO. MUCH. GOODNESS. That’s a whole lotta summer lovin’ going on right there. We’ve got you fitted and ready for a day in the sand. Keep your eyes peeled for reviews for each of these vendors and what else we’re lovin’ from them. Enter below to win this months tote until June 30th! I have so many family members who have either lake property or a swimming pool (I am the needy one). This would help tremendously! What a fun filled bag!! Love it!! Perfect for the beach and would be the right time to try these products. Such a nice gift. I just remembered about this giveaway and realized I didn’t thank you for hosting it. This is the best grab bag of goodies ever! Happy Summer!